“And when you wake, the morning covers you with light… and it makes you feel alright.” So goes one of the more memorable lines from Counting Crows’ 2002 hit “Hard Candy.” Covering the iconic multi-platinum rock band in light has been a passion for this New Jersey-born designer for 18 years – and like the morning rays in his client’s song, Zielinski’s light is meant to be felt as well as seen. Avoiding extravagant exhibitions of “flash,” his lightshows (though brimming with intensity) are more likely to be built around richly textured and varied displays of color. It is through their subtle changes of hue, and the interplay of lighting and scenic elements, that his designs strike an emotional chord, not only in the audience, but for his clients on stage. When the lighting is truly right, it should, he believes, serve as a reference point for performers, giving them a level of comfort that allows their talent to flourish. 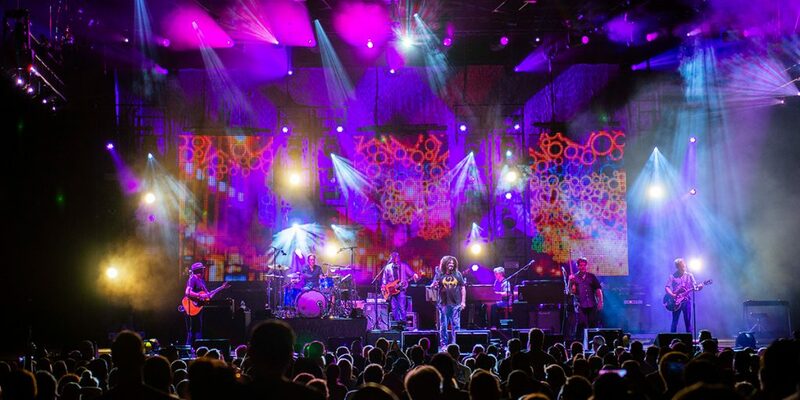 Beginning in 1999, when he served as a replacement lighting director on a Lenny Kravitz tour, Zielinski has been on the road working for a wide range of artists, including The Grateful Dead (he was on Jerry Garcia’s last concert), Metallica, Nine Inch Nails and Tom Waits as well as Counting Crows. This experience has taught him a great deal about the technical and emotional aspects of lighting. He shared some of those insights with us. 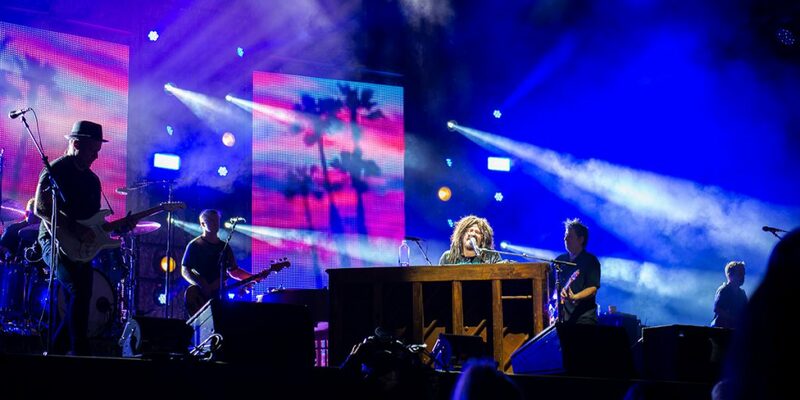 On Counting Crows’ The Brief History of Everything tour, you used lights to create a backdrop that evoked an image of a suspension bridge. Your lighting was a scenic element as well as a source of illumination. Do you think this is something that we’re seeing more of today, where lighting actually becomes part of the scenery on the concert stage? 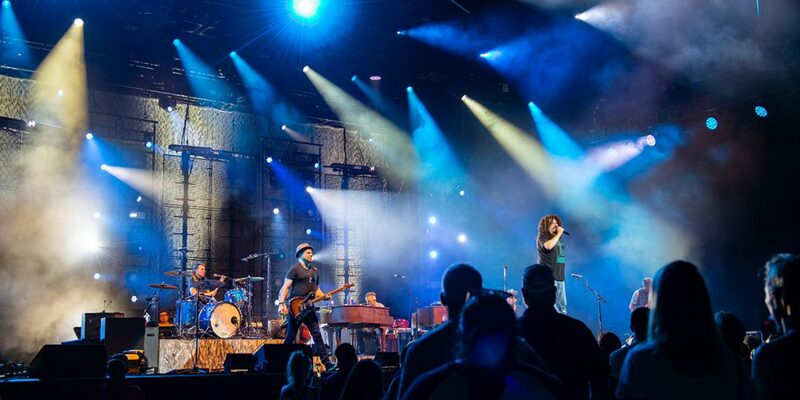 Counting Crows is one of the most tireless touring bands and you’ve been working with them for some time. Is there an ongoing story that you create with your lightshow from tour to tour? Or do you see each tour as an entirely different lighting narrative? “I try to see each tour in an entirely different narrative. If a tour is supporting a new record, we will try to reflect some of the album concepts and its artwork in our lighting and set design. This is often a very loose interpretation, though, as the album artwork is usually very abstract and cryptic so to speak. 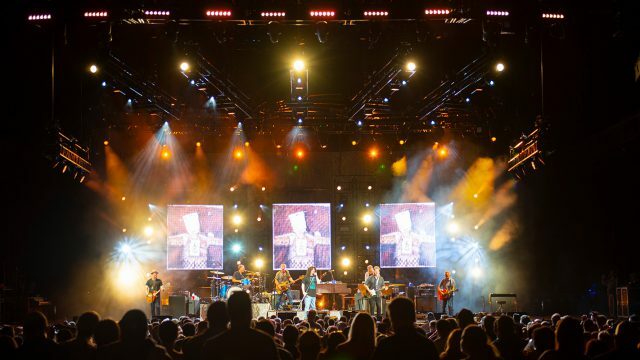 So, is there an element of storytelling in lighting concerts? Or is it just simply a matter of supporting the music with light? How did you hook up with Counting Crows? Does being with a band for such a long time, and touring with them over so many shows, help you as a designer by giving you a deeper feeling for what the band and its music is all about? Do you still run your own console on the band’s tours? Do you do a lot of busking? If so, do you change things up from night to night? 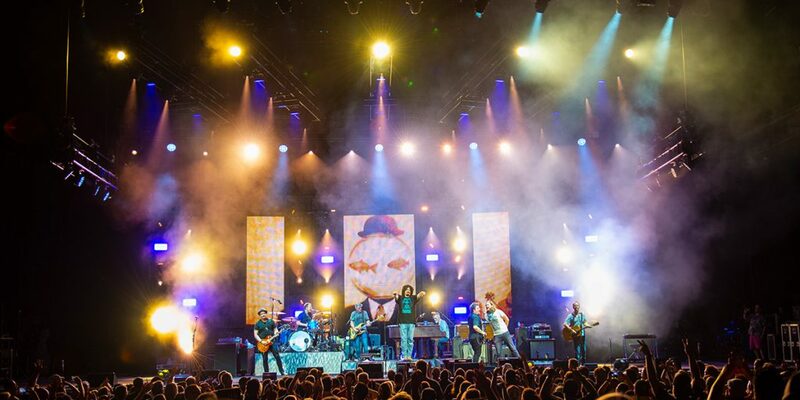 Do you have a favorite Counting Crows song? Some designers draw a sharp distinction between video and light, but you always seem ready to weave the two together. Why is that? What are the best and worst things about being a lighting designer? 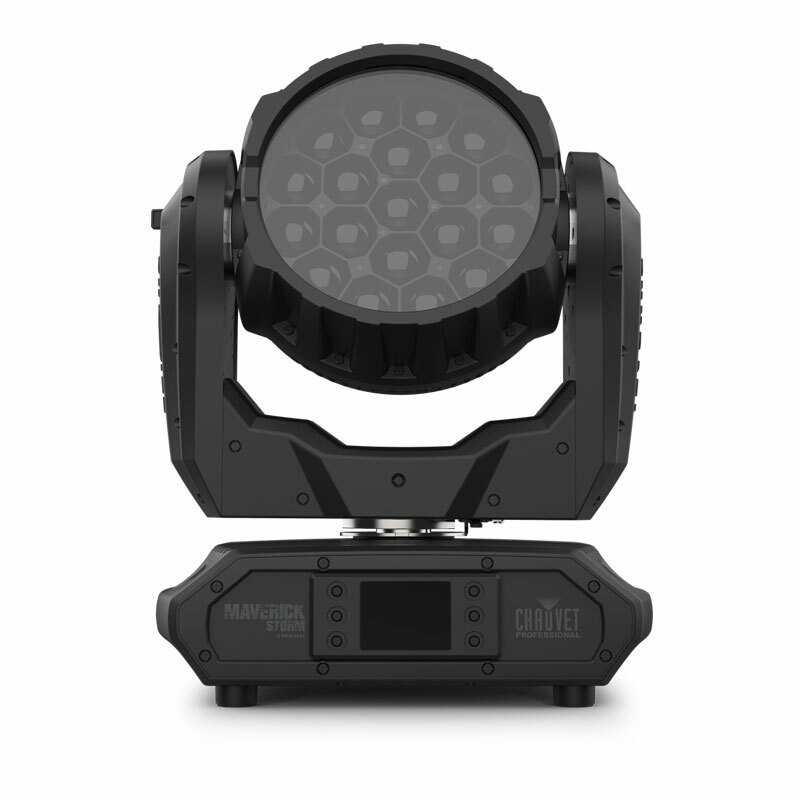 Although you’ve certainly used moving fixtures to great effect throughout your career, many of your shows seem to emphasize static lights with a lot of dramatic color changes. Can you tell us how you balance movers and static fixtures in your shows? Another thing we’ve been impressed by is how you use lighting to engage the audience. 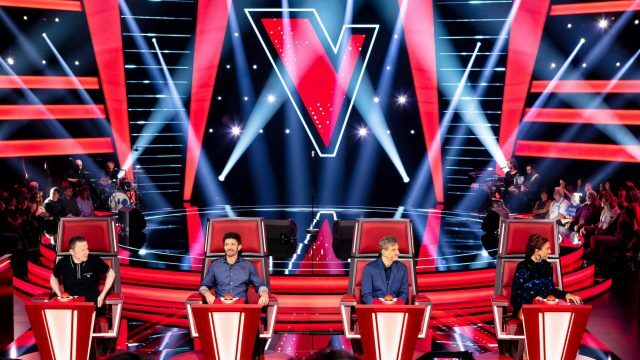 In your view, what’s the secret to good audience lighting? 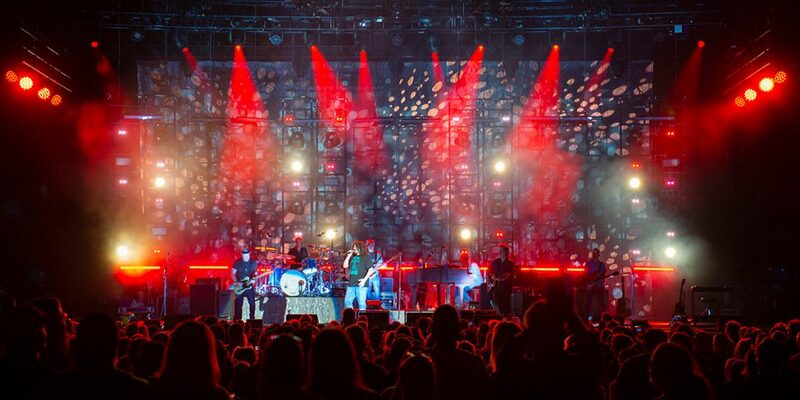 “I think intensity and color are the secrets to good audience lighting. Intensity is first and foremost the primary ingredient. I know some people call it ‘audience abuse,’ but I look at it more as audience engagement. 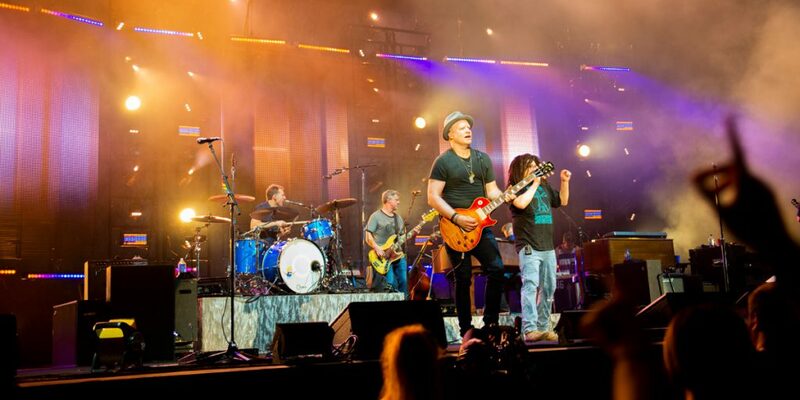 Aside from Counting Crows what are some of the other highlights of your career? “At the very top is definitely Tom Waits. I had the opportunity to design a tour for Tom in 2006; what an amazing experience! Tom is an incredible musician and even better person! Working for Nine Inch Nails is definitely right up there as well, since they are known for such consistently fantastic productions. You’ve got such strong rock roots; is there any old-time rock artist who’s no longer with us that you wish were alive today so you could light him or her? “More than anything else I want to be remembered as a good person.